LISBON — Brittany Norman ripped two long triples for the Lisbon Greyhounds on Wednesday during a key Mountain Valley Conference high school softball matchup. 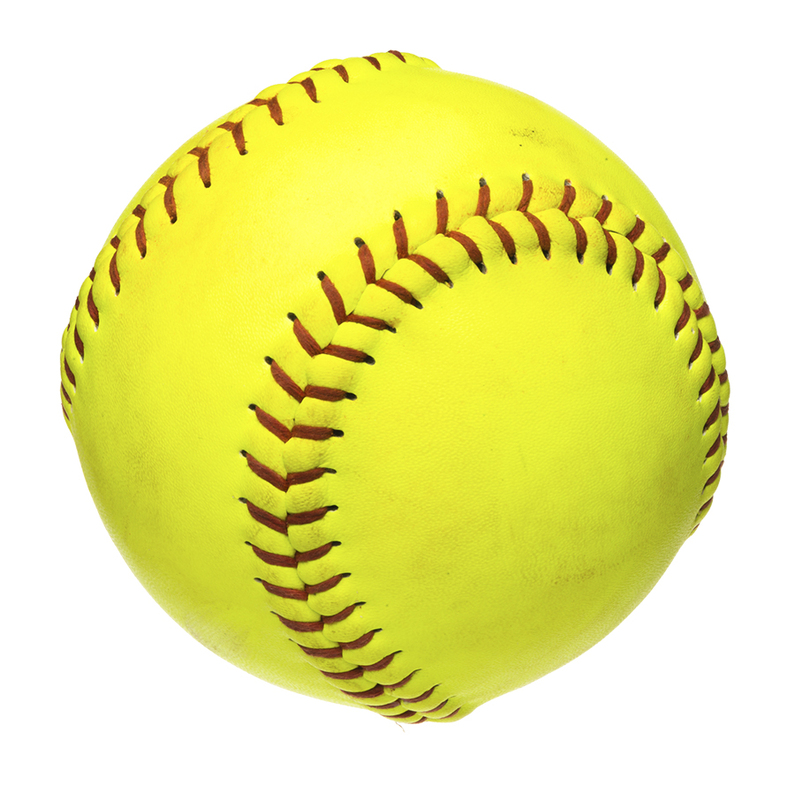 But it was her lightest-hit ball of the game that produced her team’s biggest run, a sacrifice fly that scored teammate Ivy Norris for the winning run in a big 6-5 victory over Carrabec. The teams entered the contest close in the Class C South Heal Point Standings/ The Cobras (9-5) were in fourth and the Greyhounds (9-4) in fifth. Lisbon’s win swapped those positions. In a game of big sixth-inning runs, it was Lisbon and Norman that came away victorious. Carrabec, after committing five errors in the first two innings while falling behind 3-0, scored four times off Lisbon pitcher Abby Miner (complete game, six hits, five runs, three earned, six strikeouts and one intentional walk) for a 5-4 lead. Lisbon took advantage of two more Cobra errors in the sixth to score a pair of runs and take the lead back, wand then Miner set Carrabec down 1-2-3 in the seventh. “We have talked a lot about rising to the challenge and bouncing back from adversity, and we were able to work through it today,” Lisbon coach Terri Tlumac said. Trailing 4-1 entering the sixth, Carrabec finally solved Miner. Melanie Clark reached on an error and scored on a triple by Sam Lebeau. After an intentional walk to Bailey Dunphy, MacKenzie Baker hit a sharp grounder back to the mound that Miner threw to catcher Giana Russo to retire Lebeau for the inning’s first out. An infield single by Paige Giroux loaded the bases, and Chey Sirois dropped a two-run single just inside the right-field line to tie the game. “That felt great. I have been struggling at the plate, so that hit was big. Our effort was so much better today than the first time (a 7-2 Lisbon win on opening day),” Sirois said. A ground ball by MacKenzie Edes scored Giroux for the go-ahead run, giving the Cobras a 5-4 advantage. But Lisbon came right back, as Miner doubled to right field and trotted home on an RBI single by Norris to tie the game. An error, Carrabec’s seventh, put runners at the corners, and Norman lifted a medium-range flyout to center field, and Norris scored easily for a 6-5 Lisbon lead. After Carrabec failed to score in the first, the Greyhounds took advantage of Cobra errors to score two first-inning runs. Mallory Fairbanks and Russo each touched the plate. “Lisbon is a good team, and our approach at the beginning wasn’t on for us, as we were tentative and letting the balls play us,” Cowan said. “We get down on ourselves in the first inning, and we always seem to have to fight back the entire game,” Sirois said. Miner struck out the side in the second and kept the Cobras hitless through three. “Abby was out with an ankle injury and this was her first game back. She is trying to get back into that groove,” Tlumac said. Lisbon scored a run in the second, with Joanna Turner singling with two outs and scoring on Norman’s first triple. Tlumac had Norman hitting leadoff for the first time after batting from the No. 2 spot this season. “I’ve always been a leadoff hitter, but I like to swing at the first pitch. I like being first because I like being up there to begin the game,” Norman said. “Brittany will always do what is asked of her, and I needed someone to start us off and Brittany does that,” Tlumac said. Lebeau was solid on the mound for Carrabec, allowing seven hits, six runs (three earned) with five strikeouts and one walk. She also led at the plate, going 2-for-4. Her fourth-inning single was the first hit of the game for Carrabec, while Dunphy singled in the frame and later scored on a throwing error to get the Cobras on the board. Lisbon made it a 4-1 game in the fifth when Norman tripled and came home on a triple by Russo. The Greyhounds had four triples on the day. “It is always a good game with them because they’re going to put the ball in play and their pitcher is right around the plate,” said Tlumac, whose Greyhounds host Telstar on Friday at 4:30 p.m.
“The score looks good at the end, and we feel that we will see them again. This didn’t knock us out of the tournament today, and we certainly didn’t knock them out,” Cowan said.